Sometimes we learn about appliance malfunctions the hard way. Whether we come home to a sudsy laundry room or slip on a water-covered kitchen floor, it’s always, at the very least, an inconvenient realization. At worst, it’s a hazard that directly impacts our well-being. Whether your broken freezer leaks because of thawing or your dishwasher on the fritz ruins your new hardwood floors, something’s got to give. At this point, it’s probably time to hire an appliance repair expert. Even if you feel reluctant to do so and find yourself thinking that you’re a handyman who doesn’t need outside help – call anyway. There’s no shame in getting a helping hand. In fact, there are many perks to hiring expert repair teams. As soon as you notice a water problem, you’ll need to have your dishwasher or fridge repaired quickly or else you risk further damages to your home. If you’re not particularly experienced in the art of appliance maintenance, it’s pointless to waste time trying to figure it out on your own. The seasoned experts at Toronto Refrigeration are far quicker than an amateur struggling to understand how their appliance model correlates to the ones in a Youtube tutorial, for example. The Internet will always have you thinking that you’re a pro – but for all the wrong reasons. We often do the bare minimum of Googling an issue and are quick to call it research. Reading up on supposedly novice ‘how-to’ blogs for at-home repair advice can convince you you’re fit for any repair. Unfortunately, complex and invasive problems can require more than the basic instructions provided by these online sources. If your appliance is abnormal in any way, your attempts at DIY can go off script and leave you with no guidance. In any and all cases, if you’re not trained to handle complicated mechanical devices upon which your home is dependent, you shouldn’t be toying with their insides – it will likely only make things worse. In other words, the most significant perk of calling TR’s enthusiastic team of repair experts is the immediate peace of mind you get. It should go without saying that appliance repairs don’t have to be complicated, time-consuming, or even potentially dangerous. In fact, they shouldn’t be. Unless you’re a certified technician, it’s not recommended that you make any major repairs to your broken appliance. Without the proper training and equipment, you can improperly identify the problem and execute sloppy repairs. 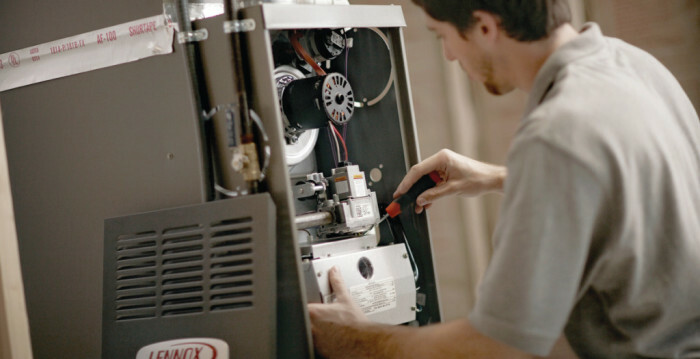 Only through a systematic look at your appliance will our technicians identify the issue. Once they do, they’ll provide an in-depth report of their proposed method of repair. That way, you’re never surprised by their technique, materials, or overall cost. If everything’s to your liking, they can provide same-day repairs on your refrigerator. In short, going the DIY route means making the situation more complicated than it has to be. Calling in an expert simplifies the ordeal and alleviates stress on your end. We’re here to help make your life better, after all! Because the repairs happen swiftly and precisely, you won’t have to worry about food spoilage or damage to your household because of a lacklustre repair that you’ve undertaken on your own time. Whatever it is that caused your appliance to stop working, our pros will reverse that issue permanently. So, call us today if you ever encounter a problem with your home appliances. We’ll make sure it never happens again.